Of all the recipes I have ever tried to recreate it was this recipe that required the most digging and research to uncover just how to make it. 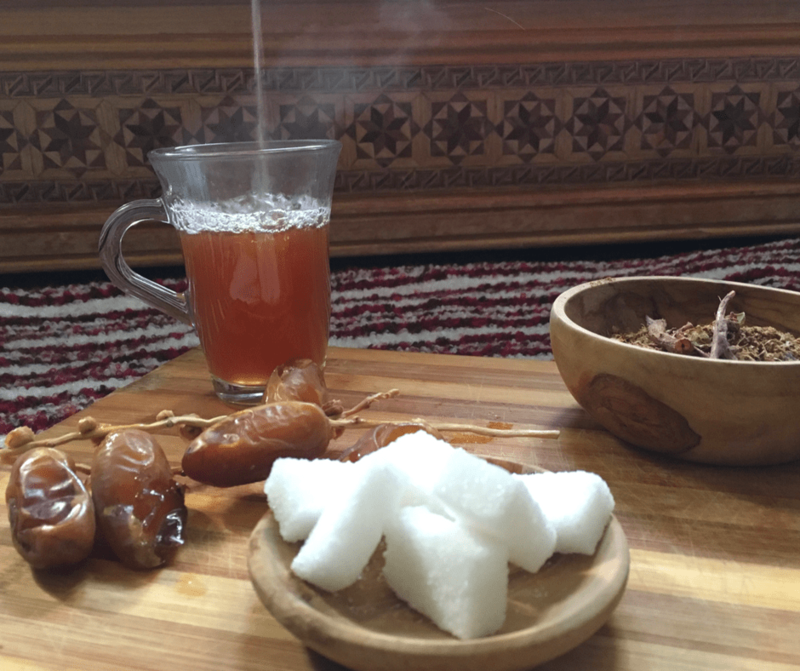 I can’t speak for other cities in Morocco, but in Marrakech during the winter months khunjul, a variety of spiced tea, is a very popular street drink. It is most easily recognized by the very large copper vats that hold it in Jemma el Fna. No, this isn’t Moroccan mint tea – it’s far from it. 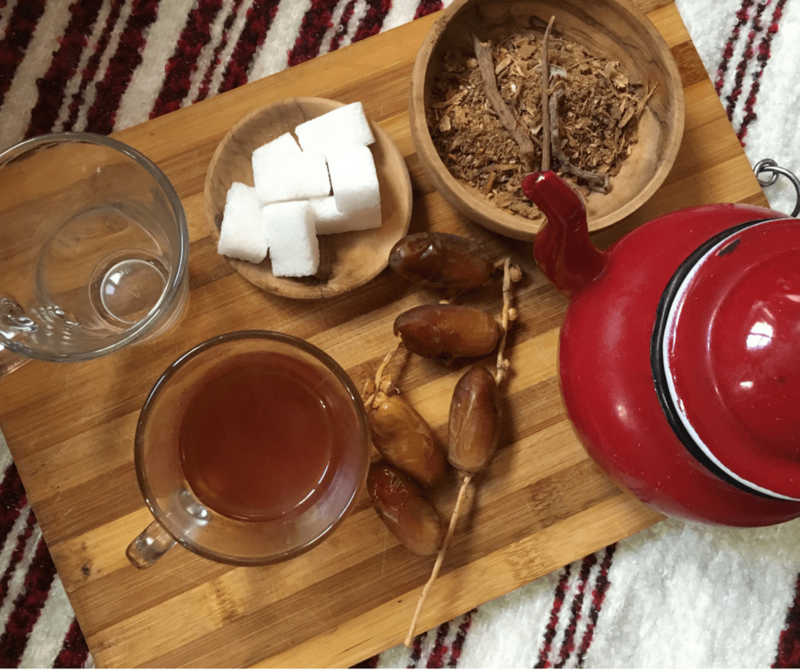 This tea is loaded with spices and is said to have curative properties. It’s one of the natural remedies people use during winter to ward of illnesses. Many of the vendors will have a list of general ingredients displayed on the front of their carts but there’s no quantities and like with many good recipes in Morocco, no two mixtures are exactly the same. I have been asked several times how to make this at home and truthfully I had no idea. When I wanted some I just went to the square to get it. 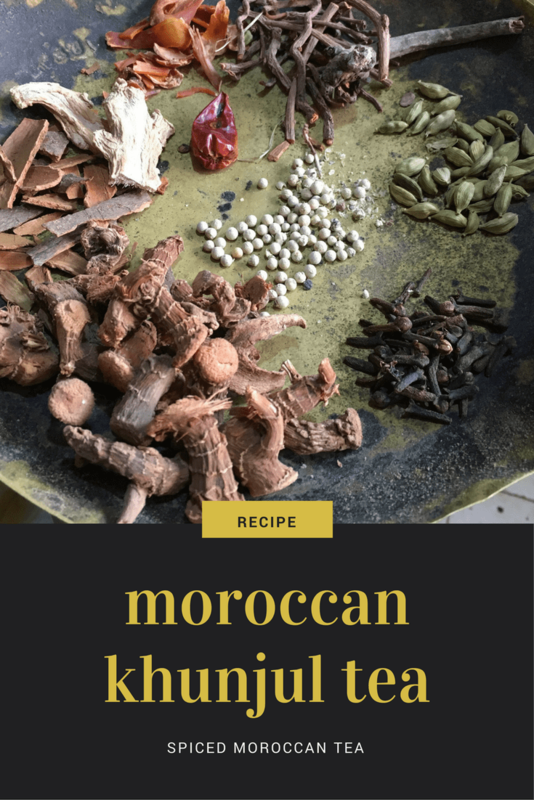 But my curiosity got the best of me and I did what you do in Morocco – I headed to the herbist to show me how to make it. It became clear early on that some of these ingredients were going to prove difficult to translate. Let’s face it my Darija isn’t exactly proficient when it comes to obscure herbs. We put together all of the ingredients (don’t worry if you keep scrolling I’ll have a full list!) Then everything was ground together. That’s it. It’s really simple! So if you’re ready to make your tea, here’s how! 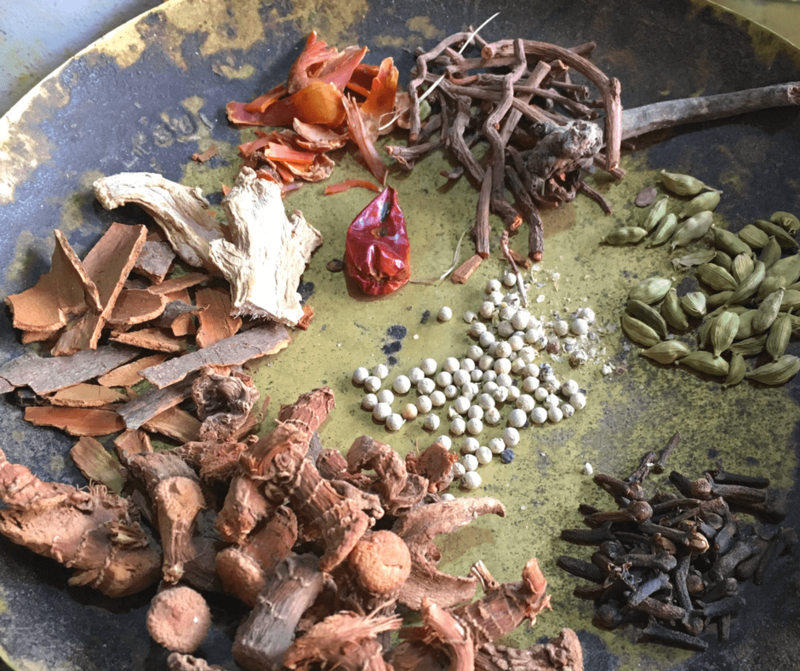 If you don’t have access to some of these herbs, you can order them online. I’ve hyperlinked the names so you can easily order them. The first thing that you need to do if you are starting with the raw ingredients is to grind everything. Some ingredients, like the galanga are going to come in a big size. How it’s done in Morocco is simple. The roots are put in a bag and smashed with a hammer until they are broken apart enough to go through the grinder. Do whatever it takes! If you don’t have a food grinder a coffee grinder will also do the trick, just mix in small batches. How much of each ingredient do I use? You can see in the first image that it was about the same amount of each thing that was used however this is where you can get inventive. If you don’t like the heat of a chili, don’t add it. If you like more ginger, add a bit more. There’s really no right or wrong way to combine the ingredients. The general rule of thumb is to mix a palmful of dry tea with a 1/2 liter of water. I measured my palm and it was just over 1 heaping tablespoon – I have small hands so you may want to add a little more. But, again for this it’s better to start with less until you get a feeling for the flavors and what you like and don’t like. Prepare the tea as you would any other tea; boil the water, add the dry tea either loose or in a tea ball and let it steep for 2-3 minutes before serving. You can also use sugar to adjust the taste. If you’ve never tried this tea then you’re going to be a little surprised by the flavor. It has a kick. It’s really not meant to be sipped in a giant mug but really just a small Moroccan sized tea cup. It may leave a slight burning feeling (depending on how heavy you were with the peppers!). But, if you’ve got a cold or a bit of an upset stomach it can really help settle these down. As mentioned if it feels a little too strong, a bit of sugar can balance the flavor a little. 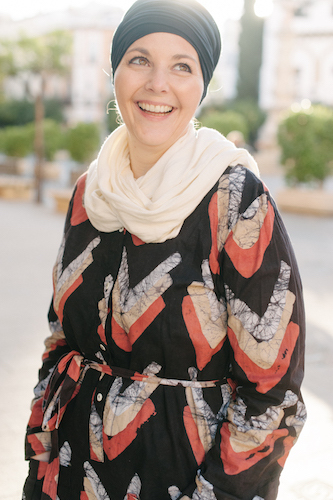 Special thanks to Christine of Taste of Maroc for helping me uncover the English translation of madder root! Im concerned about the madder root in this. It’s regarded as something to not ever take internally. I’ve also read that and if concerned you could easily not include it.